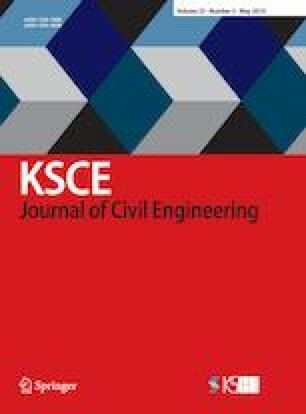 A novel reinforced concrete (RC) vertical bent frame structure system consisting of a RC frame structure and RC bent structure has been proposed for the development of large-scale thermal power plants. To better understand the seismic performance of RC bent columns in vertical bent frame structures, a 1/5-scale representative component selected from a common vertical bent frame structure was tested by quasi-static testing (QST). The failure mode hysteretic characteristics, ductility, energy dissipation capacities of RC bent columns were investigated. Based on the experimental results, finite element models for the bent frame columns and vertical bent frame structures were developed and the nonlinear dynamic analyses were carried out. The results of finite element analysis indicate that the axial pressure ratio has significant effects on the seismic behaviour of RC bent columns. The relationship of drift angle for bent frame column under frequent earthquake and infrequent earthquake are investigated. The limitation values of axial compression ratios and the inter-storey drift angle for RC bent columns in vertical bent frame structures are suggested.